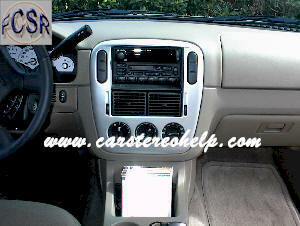 1) Gently pry trim panel from dash releasing clips. All clips release with pressure. 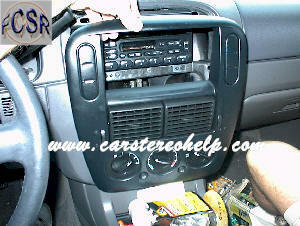 1) Remove two screws below car stereo securing car stereo to dash. 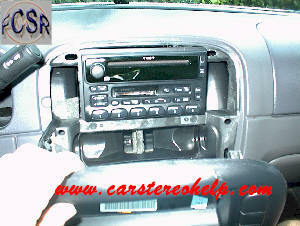 2) Remove car stereo from dash. 3) Disconnect antenna and release triggers connectors to disconnect.